Welcome to the official website for Delta Tau Omega Chapter of Alpha Kappa Alpha Sorority, Incorporated® in Lansing, Michigan. Greetings from the members of the Delta Tau Omega Chapter of Alpha Kappa Alpha Sorority, Incorporated®. Delta Tau Omega is located in Lansing, Michigan and is a part of the Gracious Great Lakes Region. Chartered in 1947 as the first National PanHellenic Organization in the Greater Lansing area, we have spent the last 71 years blazing a trail to bring goodwill to the Greater Lansing area. We are pleased to be the chapter of the 24th International President and the first-selected International 2nd Vice President of Alpha Kappa Alpha Sorority, Incorporated®. 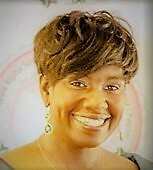 We welcome our sorority members, community partners, and friends to peruse this website for information about the histories of Alpha Kappa Alpha Sorority, Incorporated® and Delta Tau Omega Chapter, opportunities to learn about and participate in community events, and to enjoy a photographic history of our work in the community. Enjoy our website and we look forward to meeting and seeing you at our next event!